With students set to return to James Lick High School, some San Jose flooding evacuees will have to move to another evacuation center. Marianne Favro reports. San Jose residents whose lives were uprooted and homes, cars and belongings were destroyed by a historic flood are now getting a chance to receive free services and thousands of dollars to restore their lives. Since an assistance center opened its doors Saturday at the Shirakawa Community Center on Lucretia Avenue, there’s been a steady stream of people, a lot of whom have lost everything. At least 140 households as of 12 p.m. stopped by to request assistance, Assistant City Manager David Sykes said. 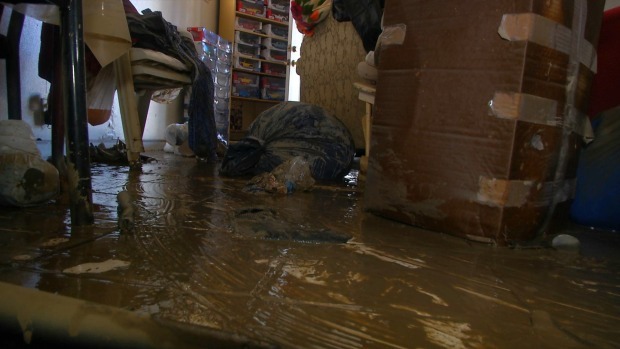 “The water went up to five or six feet so everything got damaged,” flood victim Jose Nunez said. Nunez said he has nothing left, but the clothes on his back after his home on Senter Road was completely inundated with water. Now, he is hoping the city of San Jose and its officials can step in to help. San Jose residents whose lives were uprooted and homes, cars and belongings were destroyed by a historic flood are now getting a chance to receive free services and thousands of dollars to restore their lives. Rick Boone reports. The assistance center will be open from 9 a.m. until 4 p.m. on weekends. Weekday hours will be 8 a.m. to 6 p.m. The center will serve all affected residents, homeowners and business owners, in several languages and regardless of immigration status, through March 4. Officials there will answer questions about tenant-landlord issues, social services, housing services, vehicle repair and replacement, insurance issues, and more. The Franchise Tax Board and the Santa Clara County departments of Aging and Adult Services and Employment and Benefits Services will also offer resources. "We want to make sure that everyone understands this is a safe place for affected residents, regardless of their immigration status," Sykes said. Nunez was only one among hundreds who lined up at the flood victims’ services center to seek help. Charities on site were providing people with food and clothes, and a nonprofit was helping them clean up their soggy and mud-ridden homes. It is also a chance for victims to tap into thousands of dollars from a growing relief fund, which as of Saturday has reached half a million dollars. “We're going to be putting a plan together to determine with the donations that have come in, what is the best way to use that to get people's lives back,” said Deputy City Manager Kim Walesh. Officials in San Jose are slowly allowing people to return to their homes after historic flooding. Marianne Favro reports. Meanwhile, Mayor Sam Liccardo took up his post, as he has most of this week, in the affected areas. He spent Saturday talking to more people returning home and assessing the damage for the first time. It has been “heart wrenching” to watch people “suffer,” he said, but it’s been gratifying and empowering to watch the community rally around their neighbors. On Saturday, Sykes said that residents of 1,335 households are still restricted from entering their homes. That number is down from 4,554 units that were originally in the mandatory evacuation zone earlier in the week. Specifically, 229 units in the Rock Springs neighborhood, 432 units at mobile home parks along Oakland Road and 669 units in the William Street Park area remain blocked off. Riverbend Mobile Home Park has reopened, and South Bay and Golden Wheel are partially open pending PG&E work, Sykes said. Additional portions of the Rock Springs area, where a flooded sanitary pump station has been repaired, will continue to reopen, he said. Dumpsters are being transported to the mobile home parks, the William Street Park area and Rock Springs. Those whose cars were towed due to the flood should call the San Jose police auto desk at (408) 277-4263. They will not be charged for the towing. Sykes added that the Yellow Cab taxi service is offering transportation options to flood victims currently not seeking refuge in shelters. Some light rain may return this weekend, but no more than one-tenth of an inch on any one day, according to the National Weather Service. The risk for more flooding is "extremely low," but the office of emergency services will remain open all weekend, Sykes said. City officials will monitor storm activity on a 24/7 basis, and city staff will be in the field to offer any assistance when Mother Nature brings more rain to the region. 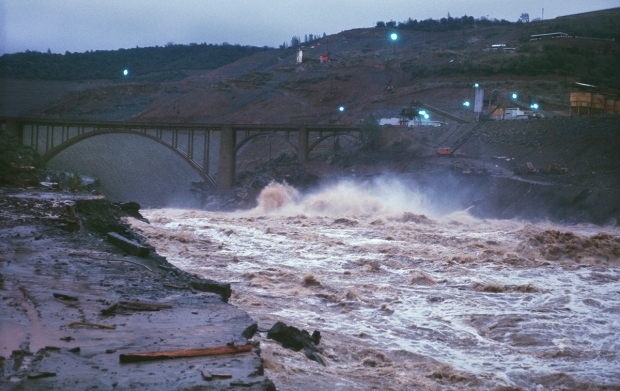 Whether it was the city or the Santa Clara Valley Water District's responsibility to clear the creek remains "an open question," Sykes said, explaining that at this point, his efforts are focused on recovery and reentry and preparing for future storms. "We have the potential of two or three more months of rain," Sykes said. A "post-incident review" will come later, the assistant city manager said, but said the city will work on improving its emergency notification system and getting better information. "Some of the information we were relying on for decision-making obviously was not reliable," Sykes said. Most importantly, the assistant city manager said, will be putting in flood protection on Coyote Creek. "The flooding that happened was going to happen," he said. 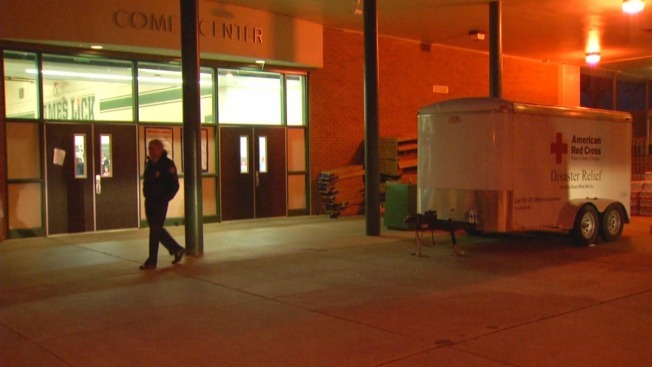 The 19 people who stayed at Evergreen High School on Thursday night have been moved to James Lick High School, which will also close before school starts on Monday. A new shelter will be set up at Seven Trees Community Center, Sykes said. Alicia Carrillo, who lost everything back in 1997 as a result of flooding in San Jose, has spent three nights at James Lick High School. She said sleeping "in a big room is not easy," but she's still grateful to have a roof over her head. "I'm just thankful for the services here," she said. "If you gotta move, you gotta move."